Birch bark tar, the oldest adhesive known in Europe, was widely used during Prehistory. This material, produced by the dry distillation of birch bark, has been identified in various spheres of activities and provides valuable information on the know-how and technical and territorial systems of past societies. This biomaterial can also provide evidence on socio-economic networks and mobility. However, very little is known about the production systems of birch bark tar during Prehistory, including the Neolithic period. The lack of findings in the archaeological record necessitates the development of an approach that combines experimental archaeology and biomolecular chemistry. We present here (1) the results of experiments in which different birch bark tar production systems were tested and (2) the molecular signatures of the birch bark tars produced according to different processes based on the use of ceramic vessels. The key role of bark quality is highlighted for the first time. This study also details direct archaeological inference of the experimental results obtained: a total of 23 samples from the site of Nice-Giribaldi (France, second part of the fifth century BCE) was investigated. 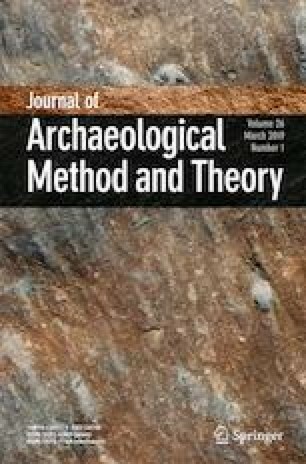 Different categories of birch bark tars were identified during Neolithic in the south of France, providing evidence for the existence of complex manufacturing systems and procurement networks. The online version of this article ( https://doi.org/10.1007/s10816-018-9372-4) contains supplementary material, which is available to authorized users. The authors are very grateful to the ANR (Agence Nationale de la Recherche) and its financial support of the research programme EXSUDARCH dedicated to the chemistry, manufacture and use of plant exudates and tars. The results presented here are part of the PhD thesis of Maxime Rageot, funded by the CNRS, the Région PACA and the University of Nice Sophia Antipolis. We are grateful to these institutions for their support. The authors are also grateful to the French Polar Institute (IPEV) and its financial support of the research programme ETAPAS dedicated to the ethno-archaeology of plant use and exploitation (awarded to S. Beyries). We sincerely thank Jean-Denys Strich, Sabine Sorin and Pierre-Alain Gillioz for help in designing the figures. Lastly, we thank the reviewers for their fruitful comments. Lavoie, S. (2001). Contribution à la synthèse de dérivés de l’acide bétulnique à partir du betulinol extrait de l’ecorce du bouleau blanc (betula papyrifera). Master thesis, Université du Québec à Chicoutimi. http://constellation.uqac.ca/914/1/12332457.pdf.